Are your arteries older than you are? Are you at risk of a stroke or heart attack? Are you keen on sport and/or fitness and would like to improve your energy levels, stamina and endurance, both on and off the field? Most people will be aware of the importance of diet and exercise in not only cardiovascular health, but in the overall health of the body, so there is no need to delve too deeply into the benefits here. We should all be exercising at least three times per week, for at least 20-30 minutes, longer if possible. A daily 20-30 minute walk would be a good start. A balanced diet is also recommended, keeping junk food to a minimum, as is drinking plenty of clean pure filtered water to keep us hydrated. People often overlook the fact that we are mostly composed of water and believe it or not, most of us are actually dehydrated to a greater or lesser degree. It is amazing how drinking a little more pure water a day can benefit our overall health in many ways. Coronary Heart Disease and Strokes are two of the biggest killers in today's society. According to the World Health Organisation, "Chronic conditions like heart disease, stroke kill more, says WHO's World health statistics 2008. 19 MAY 2008 | GENEVA - The global burden of disease is shifting from infectious diseases to noncommunicable diseases, with chronic conditions such as heart disease and stroke now being the chief causes of death globally, according to a new WHO report published today." There are many nutrients that can have a beneficial effect on the heart and cardiovascular system. 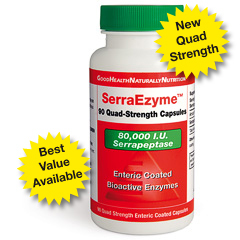 The enzyme CoQ10 (ubiquinone) is one very important nutrient. CoQ10 can be found in almost every cell of the body and is responsible for 95% of all the body's energy requirements. Therefore, those organs with the highest energy requirements such as the heart and the liver, have cells that have the highest CoQ10 levels in the body. In fact heart cells have around 5X the levels of other cells in the body, so CoQ10 is vital to a healthy heart. It has been discovered, according the What Doctors Don't Tell You, that in a number of scientific tests Statins, the most popular drug to treat heart disease, can actually reduce CoQ10 levels in the heart, and actually cause heart disease. So much so that one large pharmaceutical company recently applied for a Patent to include CoQ10 in their Statin drugs. It would be highly prudent, therefore, for people taking Statins to check with their GP whether their prescription Statin includes CoQ10, and if not, embark on CoQ10 supplementation to help prevent any potential heart disease. The Importance Of Being Earthed/Grounded In Cardiovascular Health. Recent scientific studies have revealed an important factor in maintaining cardiovascular health. It is that of being Earthed or Grounded - having a connection with the Earth and the Direct Current and Free Electrons that the Earth shares with the body. Today we humans have slowly been disassociated with having any direct connection with the earth. Something we have had throughout our whole human evolution. We have slept on the earth, walked bare foot - some cultures still do - then we used natural material for footwear like leather or suede. Today however, we are bombarded with electrosmog; electrical pollution broadcast in many forms through wireless communications, ranging from mobile phone masts and phones, Wi-Fi, WiMAX, DECT phones, Digital TV, electronic and electrical equipment, electrical wiring and much more. We also have been forced down the route of wearing man-made rubber soled shoes which insulate us from the earth. Therefore the body cannot discharge this huge amount of man-made radiation that it is being subjected to. This radiation can interfere with our body's own subtle electrical communications and lead to damage, illness and disease and much more. Read here about the benefits of being Earthed while we sleep for improving and maintaining a balanced cardiovascular system. As well as protecting us from electropollution. To learn more about Earthing and the benefits this can have on other areas of our health and well being, protecting us from Electro-Pollution, please click here. Go-Nitrix � The best kept secret? Until not so many years ago, no one knew that the body produced nitric oxide. A team of scientists in the 90�s discovered that not only does the body produce nitric oxide, but that its� function within the body is critical to the maintenance of supple arteries: they discovered that nitric oxide is a powerful vasodilator � this simply means that it keeps the large arteries open and maintains their smooth �Teflon like� surface so that blood can flow normally. This research culminated in them winning the Nobel Prize for Medicine 1998. We know that when the arteries become stiff and deposited with plaque and other fatty substances, the body is much more likely to suffer thrombosis, heart attack or stroke. It is generally accepted that stiffening of the arteries is a fact of life � all part of the ageing process. We now have evidence that taking the right supplement can not only stop this process of stiffening but in many cases reverse it. 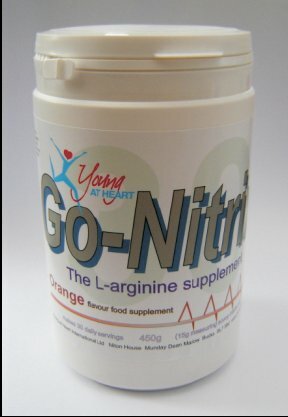 The main constituent of Go-Nitrix is L-Arginine - We know from basic biology that the body produces Nitric Oxide to help with it's cardiovascular system. Biology shows us that body utilises the Amino Acid L-Arginine (one of the basic building blocks of life) to produce Nitric Oxide. This biological process carried out naturally by the body is known as the �Nitric Oxide Pathway�, which is now recognised as essential for keeping not only the cardiovascular system functioning properly, but also the brain and other organs in the body. 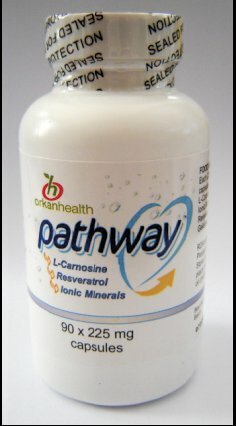 As a result of this biological understanding some people may choose to supplement their diet with L-Arginine. If you are fit, healthy and over 45 and have normal arteries for your age, could you also benefit from taking Go-Nitrix? An increased production of Nitric Oxide will help dilate your arteries, improve your circulation and help the distribution and delivery of nutrients to cells. The net results being that you should feel younger, healthier and have more energy. To the left we have Test 1 before taking Go-Nitrix 9th January 2005. To the right we have Test 2 taken 4th July 2005. 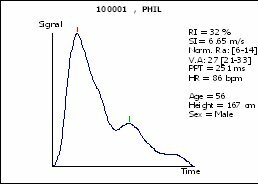 The test taken on 9th January 2005 shows his comparative vascular age � this you can see is greater than 75 years � his stiffness index is 13.4 m/s and peak to peak time 125ms and his RI is 81%. 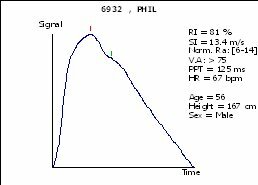 His comparative vascular age is now 27 years, his stiffness index 6.65 and peak to peak time 251ms and his RI 32%! To Buy Go-Nitrix Click Here - Press BACK/RETURN Button on your browser to come back to this page! To Purchase Pathway Please Click Here - Press BACK/RETURN Button on your browser to come back to this page! Cardiu-Krill is the purest and most concentrated Omega 3, 6 & 9 supplement from the unpolluted Southern Ocean. Results from five prospective randomised double blind clinical trials have proven good quality Krill Oil superior to fish oil. 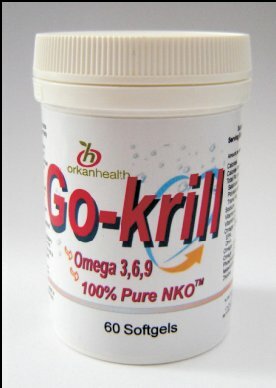 Price �16.95 - To Purchase Go-Krill Please Click Here - Press BACK/RETURN Button on your browser to come back to this page!